Folk dance reflects the quotidian life of a nation. It is history. Tradition. Intimate relations. Temperament. Enduring values. It touches everyone’s heart. Armenian dance is vivacious, vigorous, gracious, and supple. It is flirtatious and also virile. Armenian dance is an accessible and pleasing way to maintain a national spirit and identity. Teaching the art of dance to new generations is indispensable, encompassing, as it does, Armenian music, song, a rich tradition of costumes, as well as choreography. Our people have danced to celebrate weddings, military victories, the harvest, and traditional holidays. Our dances have reflected a fighting spirit and a joyful disposition. 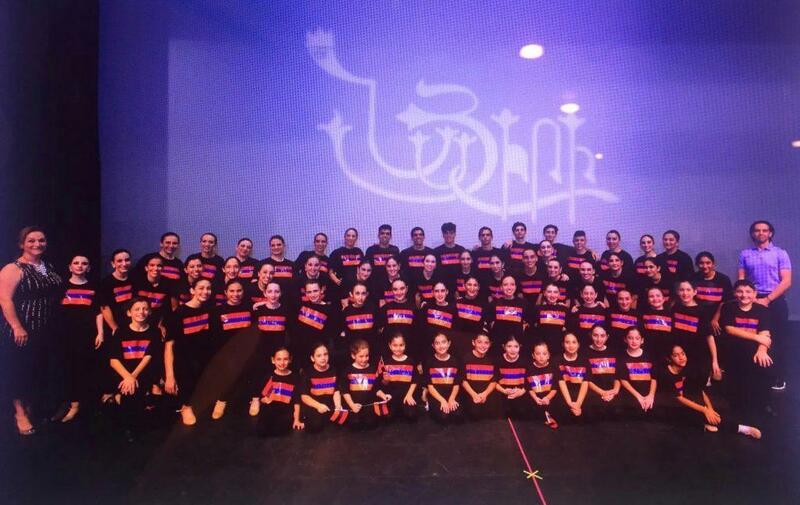 In practically all Armenian schools in Southern California the beautiful arts of Armenian dance are taught. Likewise, cultural organizations (and particularly Hamazkayin) and private individuals teach dance to groups of children, teenagers, and young adults. The Hamazkayin San Fernando Valley “Baruyr Sevag” Chapter, on October 6, 2018, held the annual performance of its Niari dance ensemble at the CSU Northridge Plaza Del Sol Theatre. After months of long and exhausting practice, 65 enthusiastic children, teenagers, and young adults took the stage with a program of folk and contemporary dances. The stage was decorated with colorful banners; the glorious illumination, diverse costumes, and selection of music created a pleasant atmosphere. The parents and families of the dancers encouraged them with passionate applause.